Despite appearing as a frequent flyer in past editions of this report, owing to its evidentiary double standards, unsound legal rulings and lack of transparency—and thereby, not surprisingly, yielding a higher winning percentage to claimants than in any other place in the country—Newport News, Virginia is perhaps most notable this year for the lack of verdicts emanating from it. Indeed, the last asbestos case to go to trial there was Parker v. John Crane, Inc. in early 2016, as noted in last year’s report. And because there have been no trials since, it’s hard to know whether the problems and inequities that have manifested themselves in the past will persist. Instead, the cases with the most activity this year are those proceeding in the federal court in Newport News, in which both plaintiffs and defendants (the latter group through removing cases to that court) have sought to litigate these claims. The sole asbestos case filed by a plaintiff in federal court appears to be in response to a maritime law case decided in the Newport News Circuit Court, holding that application of Virginia law’s “single disease” rule was consistent with maritime principles. Thus, the state trial court dismissed the suit as time-barred under the statute of limitations. In the plaintiffs’ federal suit, the trial judge reached a different interpretation of maritime law than the state court in the earlier case. That case is still pending in the federal district court. As was emphasized in last year’s report, a trilogy of decisions over the last two years from the U.S. Court of Appeals for the Fourth Circuit have carved a path for defendants confronted with claims for failure to warn of asbestos hazards to defend those suits in federal court, when the work in question was performed under contract with the federal government. Companies in the litigation are turning to these decisions and seeking removal of these cases to federal court. Those removals are under review in the U.S. District Court. 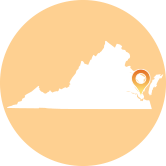 For all of these reasons, Newport News remains a jurisdiction to watch.